There’s only one league in the world, where average stadium size is above 70,000. Sure, it’s American football, but it’s still awesome! We’ve completed the East Division now, West to come. 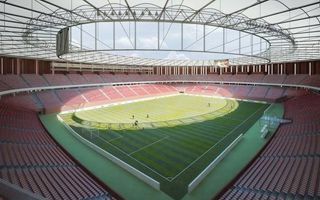 Even the best season of Beira-Mar wasn’t enough to fill this Euro 2004 stadium. Last campaign had an appalling average crowd of 629 people per game! 29.08.2015 USA: Miami did the trick! 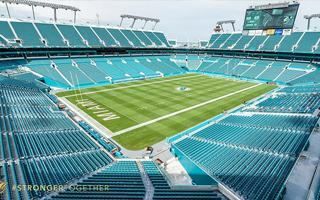 Their stadium revamp began in January and already today fans of Miami Dolphins will reopen Sun Life Stadium for NFL pre-season. The best for Dolphins fans is reportedly yet to come. 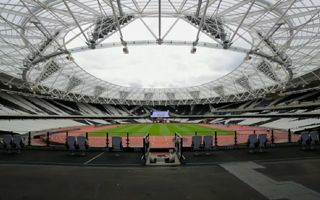 London Olympic Stadium’s retractable stands were moved closer to the field. Also campaigners against West Ham’s deal are moving closer to their goal. In both cases: not too close. 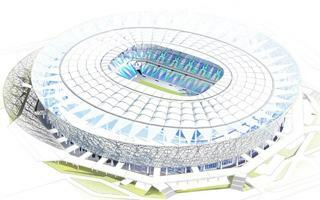 28.08.2015 Kharkiv: Metalist stadium at risk of destruction? 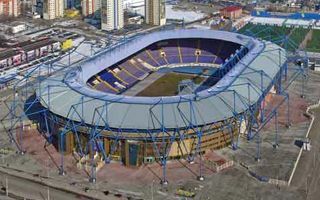 The Ukrainian host of Euro 2012 is reportedly at risk of literally falling apart. Errors during the very foundation stage may result in catastrophe if repairs aren’t made fast. One of them has Rome in its name, another: America. But make no mistake, these are all Spanish stadia. Not the biggest, but each has a story to tell. 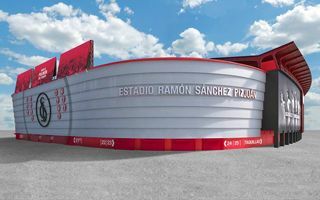 As the first renovation phase is nearly complete, now Sevilla FC present the future exterior of Estadio Ramon Sanchez Pizjuan. This time next year the stadium will be entirely changed. 26.08.2015 New design: Entire roof made of wood? Well, why not? 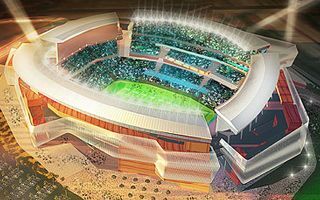 Spoiler alert: this stadium is not getting built. But that won’t stop us from showing yet another bold vision by Sadar + Vuga from Slovenia. Quite a piece to see! Official opening comes in a month, but first official games were already held here. 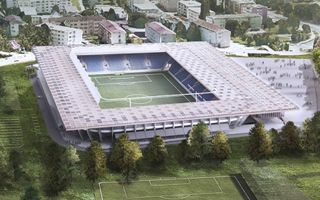 Meet Tissot Arena, the latest stadium of Swiss 2nd league. If they win promotion, capacity will rise twice! 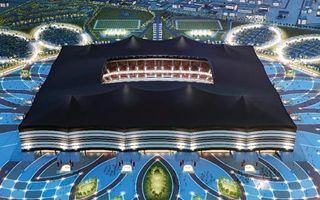 Consortium of three contractors is preparing to break ground in Al Khor, on the new Al Bayt Stadium. In fact, ground has already been broken and the site is nearly ready for foundation works. Newest addition to Israel’s Ligat Ha’al is scheduled to open on September 21. Turner Stadium will host the prestigious game against Maccabi Haifa. 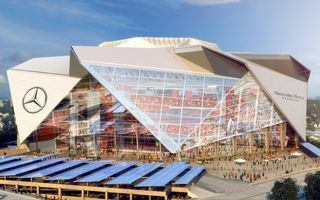 For an impressive period of 25 years the new stadium in Atlanta will bear the name Mercedes-Benz Stadium. Fourth stadium name for Mercedes, this deal may be among the most lucrative. They fought for years, but haven’t succeeded yet. 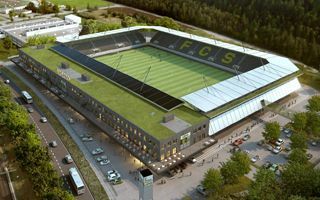 This will change on Friday, when FC Schaffhausen are to break ground on their desired new stadium. Check out the updated images! 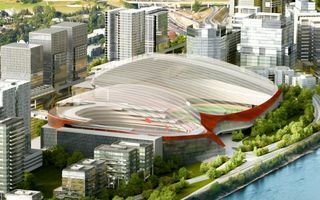 24.08.2015 Czech Republic: “Coliseum” in Brno to get built after all? The vision was created 7 years ago and despite being abandoned before, now it may actually get delivered. 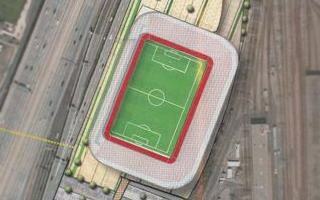 A new stadium for 22,000 people or more? That’s a chance for Brno! 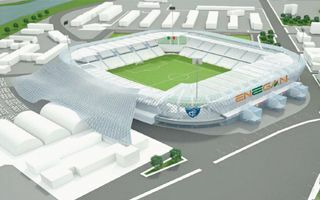 It may not be a groundbreaking design, but it brings the much-needed breath of fresh air to Slovak football. 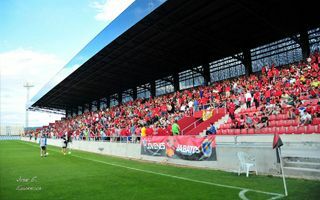 Spartak Trnava have just inaugurated their new home. 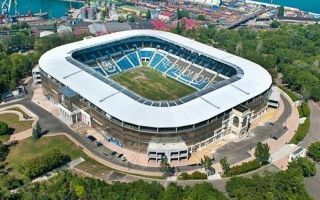 It weighs a stunning 23,000 tons and is among the largest roofs ever to cover any football stadium. 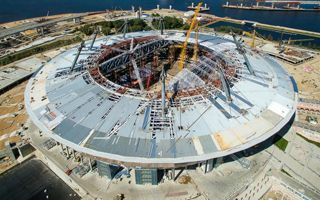 The permanent roof over Zenit Arena is now ready. 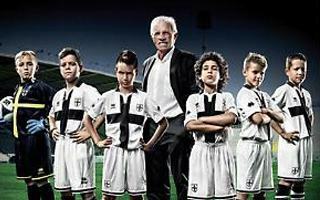 They may have only just advanced to Serie B, but the “Woodpeckers” from Ascoli hope to stay in Italy’s central tiers for good. 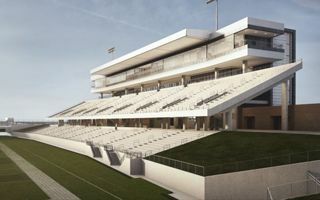 First a new grandstand, then the entire stadium. 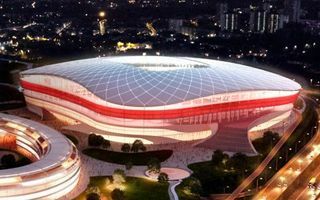 Environmental impact report is released for consultation and it brings further details on Belgium’s new national stadium. Capacity slightly up and groundbreaking date set. Combining as many uses as possible in one event venue is nothing new, right? 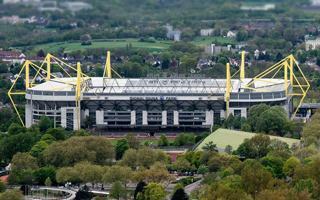 But this one is still a first: stadium and indoor arena side by side, both under permanent roof. 20.08.2015 Tokyo: Officials misled the public and IOC? 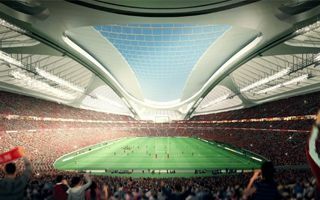 Just a month after the criticised project was scrapped it surfaced that officials were aware of skyrocketing price even before Tokyo’s selection as 2020 Olympics host. 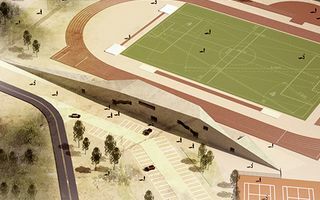 It’s expected to be one of the most comfortable ways of entering a stadium. FC Porto offers fans season ticket as a simple QR code carried on any modern device. Like many great movie scripts, this one includes Nazi occupation, secrecy and devotion. 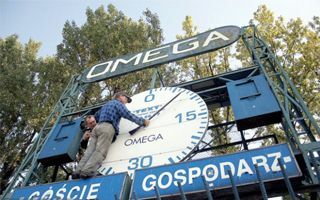 But it’s not about people, rather about a famous stadium clock, which is about to return to Chorzów. Its location is stunning itself, now the Polish town of Jaworzno has a stadium design fitting the rock quarry it will be hidden in. Not strictly football, but worth looking into! 19.08.2015 New design: DC United’s new home at last? 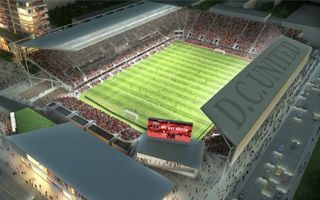 It’s not the first, but perhaps will be the last concept presented to DC United fans. Much more modest than the version shown last year, but finding a home after two decades in MLS sounds nice either way. 18.08.2015 Minneapolis: Which site for the Loons’ nest? 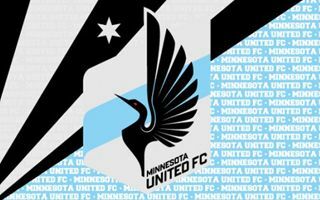 Minnesota United are yet to choose their preferred MLS ground site. Two options are on the table – one in downtown Minneapolis and one across the river, in St. Paul. Inforum.com report. 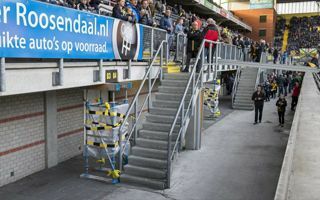 Though still under construction, the upgraded stadium in Almelo was opened yesterday. Sell-out crowd, electric atmosphere and high victory over NEC Nijmegen – a perfect set! 17.08.2015 Qatar 2022: Can holograms enhance matchday experience? Upon entry to the stadium you receive high-tech glasses which then allow you to display various sorts of content in hologram form while watching the game. 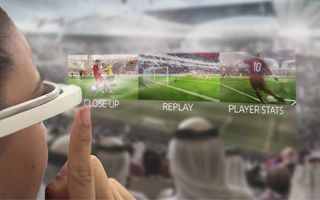 Can this become Qatar’s major innovation for their World Cup? 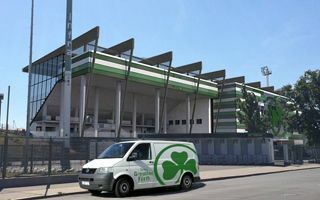 We did miss this modern stadium in Radom, so using the opportunity we also decided to add some smaller grounds from across the country. 15.08.2015 London: Chelsea to break the bank? Today Arsenal have the best-earning stadium in England and beyond. 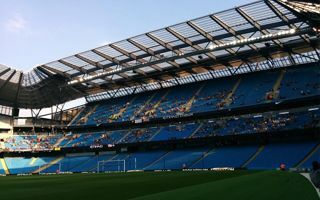 But this may change when new Stamford Bridge opens with every fourth seat (!) being a premium one. 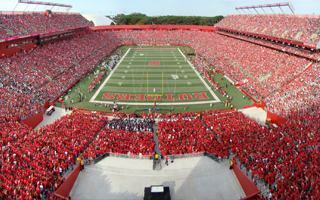 After gradual renovations, now their home stadium will undergo a complete revamp. For starters the main grandstand, which will be ready by summer 2017. It’s really close now. Both mayoral candidates support adding 25,000 seats to the home of 1. 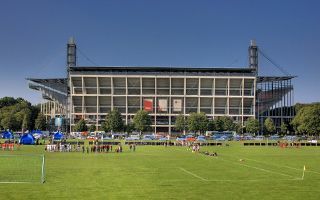 FC Köln. One major issue up for debate is the optimum model of running the project. Five years after opening only the stadium is still impressive. Average turnout is below the 5% point! 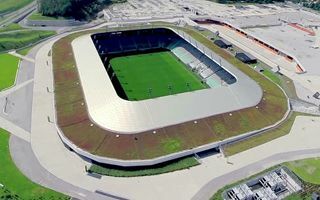 Olimpija Ljubljana has no potential to fill the national stadium even half-way, according to official data. First supporters already paid their visits to the new upper south stand. After successful test event Etihad Stadium will grow to over 55,000 from this Sunday onwards. For its 10th birthday this landmark stadium received a completely new illumination. 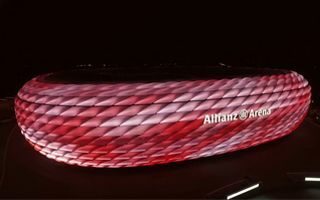 300,000 lamps, 16 million colours and nearly unlimited possibilities. 12.08.2015 Ukraine: Shakhtar to relocate yet again? Ukraine’s superpower will play the next home game in Odessa. After the fixture Shakhtar may relocate all of its games from Lviv to Odessa. 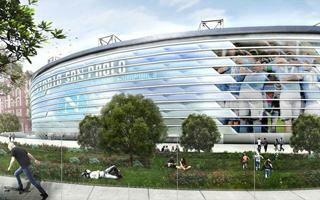 After just three months since the initial vision was presented, a completely new one is expected to convince Chargers to stay in San Diego. Will the team listen to city officials? They promised 12 stadiums, but may built even 4 less. While we still don’t know which ones will be cut, finally a deadline was presented for final selection. 11.08.2015 Tbilisi: Is Georgia ready for Barcelona and Sevilla? 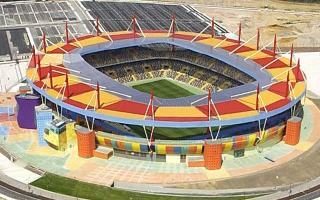 UEFA Super Cup tonight will be played in its biggest venue ever. Have the Caucasian hosts prepared properly? Oh, yes they have! Legendary national stadium in Tbilisi has changed entirely. 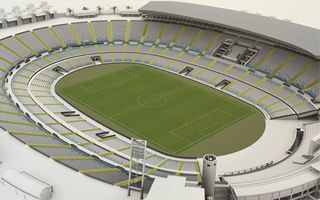 Estadio Gran Canaria will officially be a multi-use venue only for half a year more. 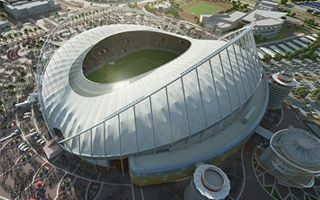 From January onwards it will serve only as a football stadium. 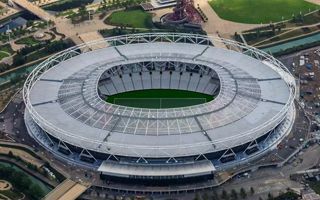 BBC reported that West Ham won’t be paying for policing, stewarding, pitch care or even goalposts at the Olympic Stadium. The club took counter-offensive, but… didn’t deny any of these revelations. 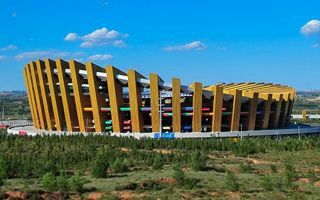 Golden saddle, Islamic dome, wicker basket or little bird’s nest – whichever you look at, these Chinese stadiums will impress you. And the biggest one opens tonight! 08.08.2015 Belgium: New grandstand opened after less than 3 months! The schedule was extremely tight, but they managed to pull it off either way. 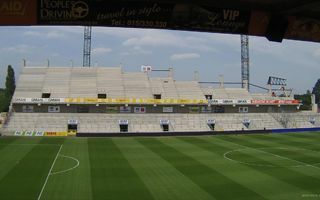 KV Mechelen will open their new north stand today. It’s still a construction site overall, though. 08.08.2015 New design: Why have one stadium? Have two! Fascinating case comes from Katy, Texas, where a new stadium will soon be built. Not to replace the old one, but to better suit demand for sports and community events. 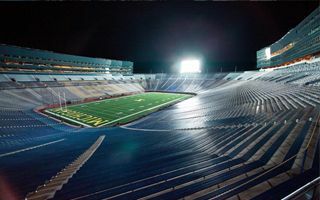 Michigan Stadium operator just announced its capacity will decrease by 2,300 for the upcoming season of football. Still the second largest worldwide and largest in the US, though. Over a year since cracks in concrete were found there’s still no permanent solution to the safety problem in Breda. 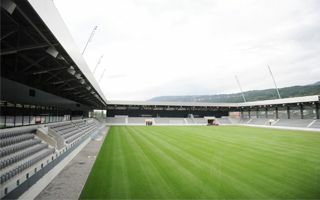 Rat Velregh Stadion has temporary supports for now. 06.08.2015 Boston: Revolution focused on downtown stadium? New England Revolution have been looking to get their first football-specific MLS stadium for some time now. All indications suggest it’s going to be just south of downtown Boston. 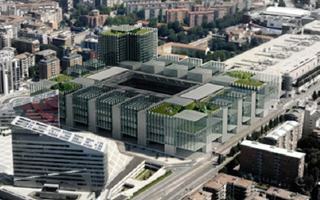 05.08.2015 New designs: Various plans for Naples, what comes out? 04.08.2015 France: Lens return in great numbers! 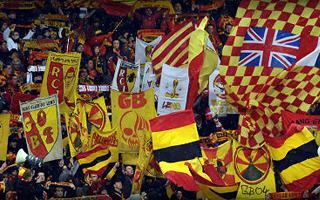 RC Lens end their season-long exile. 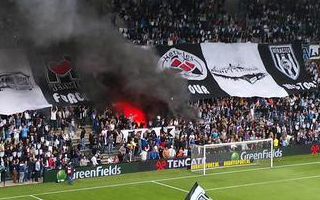 And despite relegation they sold out Stade Bollaert-Delelis four days before the opening game! Capacity to grow, comfort to improve and Wi-Fi to… slow down. These are just some of the changes expected in the 2015/16 campaign. Find all alterations here! 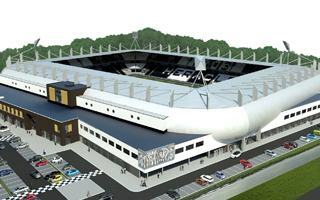 Heracles Almelo want to pursue local rivals Twente Enschede by upgrading their stadium. Just 15 years from opening its capacity is about to double. 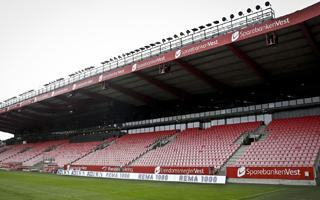 A freak accident occurred today at Brann Stadion, when large chunk of glass collapsed onto fans seating underneath. One person was injured. Who said covering a stadium with aluminum sheets makes it look bad? 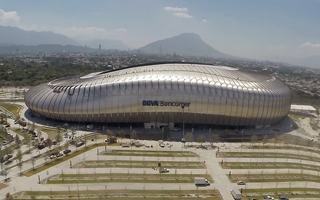 It made this one look stunning and Estadio BBVA Bancomer will boost the image of entire Mexican football. 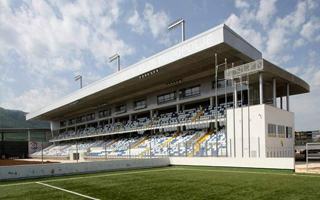 It may only be a 4th league record, but reborn Parm Calcio managed to sell over 4,000 season tickets in just 77 hours! Morale is high as the team returns to life following bankruptcy. It’s a monstrosity beautiful in its own way. 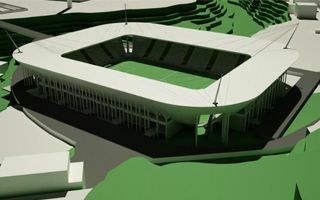 The largest stadium of Hercegovina just joined StadiumDB, just like the yet-to-be-finished stadium in northern Gradačac. Huge excavation caused a minor lag in Volgograd. General contractor has to speed up, otherwise FIFA deadline of late 2017 will not be met. Two small stadiums that should just do the trick. 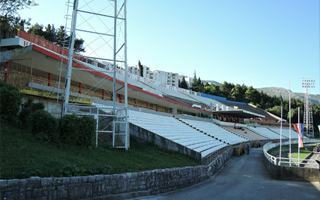 With just 5,000 each, these are considered among the most modern across Croatia.